Think Outside the Box: Decentralized Power & Vacation Fun! Imagine living in balance with nature, not opposed to it. Imagine having an asset you can rent out on Airbnb so you can gain wealth from the share economy. That's the idea behind Solar Station. We are changing the economics of hospitality and renewable energy to empower you! 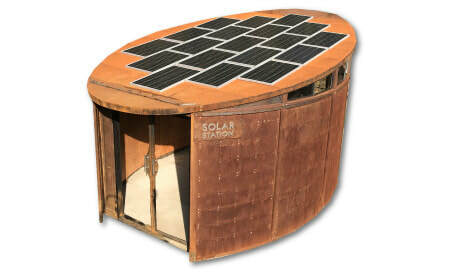 ​Solar Station can be your hotel room in nature. Or you can use it as a studio space to teach and run workshops. 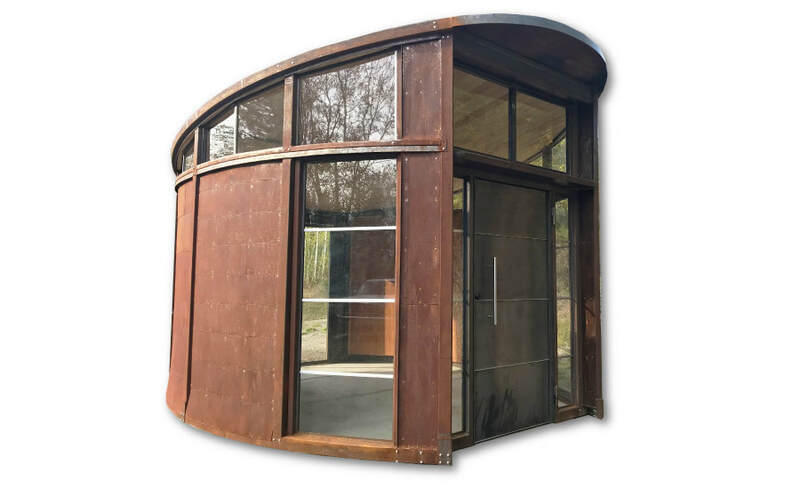 At 200 square feet it doesn't need building permits for seasonal use. 1.9 kilowatts of power production, big windows and lots of fine architectural details complete the package. 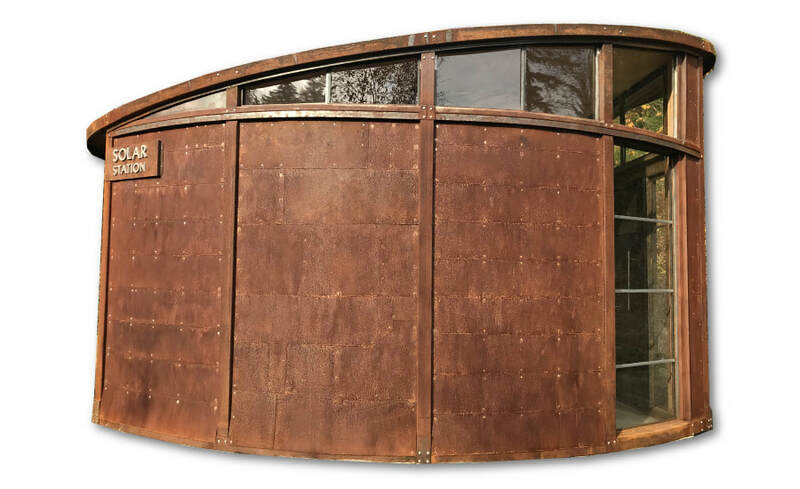 The steel skin helps ground unwanted electromagnetic frequencies from cell towers to keep you healthy and the interior acoustics are amazing! Interested in investing in a cooperatively owned community? Drop a line. Who is behind Solar Station? 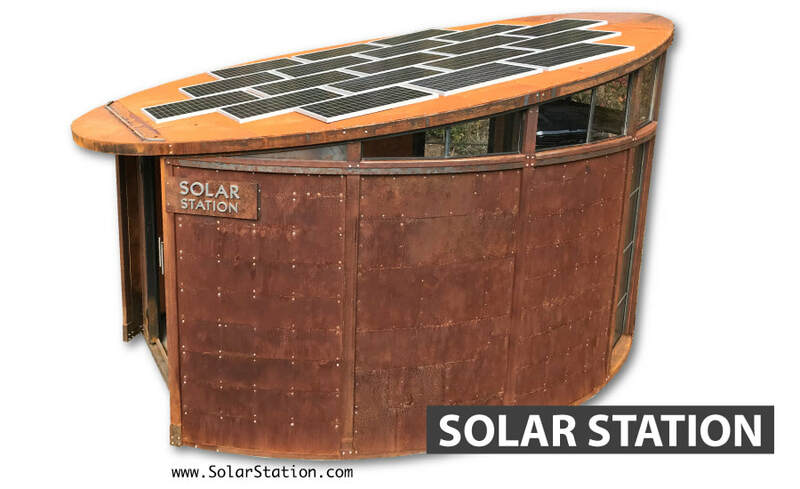 Solar Station is the creation of award winning renewable energy inventor and designer Ben Peterson. 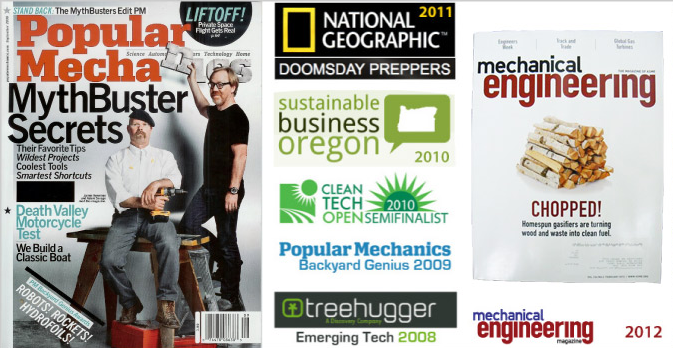 His work has been featured in Mechanical Engineering magazine, Mother Earth News, National Geographic, Permies.com & Treehugger. Popular Mechanics named him a Backyard Genius in 2009 and he was a regional award winner in the prestigious Clean Tech Open. He has held numerous live workshops, published detailed plan books and hosted national policy summits to advance the cause of renewable energy in our generation. ​Ben is a champion of personal freedom and he believes that freedom comes through self sufficiency and cooperative effort. ​With Solar Station he is developing the architecture for a decentralization. 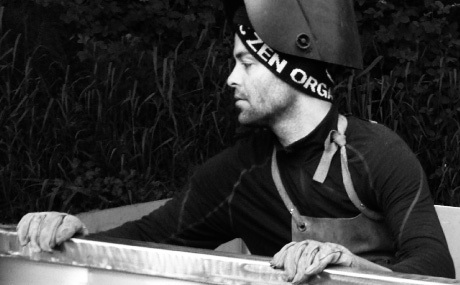 Follow his work as he expands into developing vacation communities and micro-grids.